Pre-purchase and early purchase exclusive. 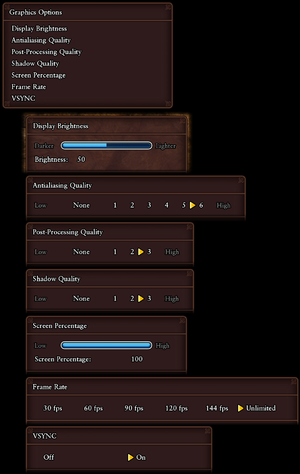 Graphics settings (composite image showing all submenus). 16:10 resolutions are letterboxed, see the WSGF topic for a fix. FXAA quality setting. Up to 4x SSAA and TAA can be forced; see Anti-aliasing (AA). Frame rate can be capped at 60, 90, 120, 144, or left uncapped. Change ScreenPercentage=100.000000 to the desired value. Values between 100.000000 and 200.000000 are recommended. TAA (Temporal Anti Aliasing) is a sharper form of AA than FXAA, however it causes blurriness during motion. It is recommended to also use the sharpen filter listed further below. 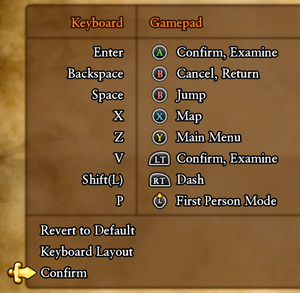 The value will reset to default after entering the frame rate option menu ingame. All settings below should be placed under the above line. r.ViewDistanceScale=5 can be lowered or increased. A value around 3-5 is recommended to minimize visible pop-in. 1 is the default. May have a substantial performance impact depending on your hardware. This will also eliminate pop-in of shadows on smaller objects. r.Shadow.MaxResolution=8192 can be lowered for increased performance. 512 is the default. Motion blur can help to disguise the TAA blurring effect, as well as make a low frame rate feel smoother. It may have a small performance impact. It may also cause motion sickness and a headache for some. Use DS4 PSX Simple Buttons Replacers or Dualshock 4 Buttons mods. 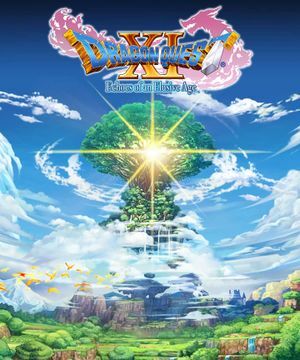 See Helix Mod: Dragon Quest XI (DX11). These recommended specs are for 1080p 60 FPS. Recommended specs for 4K 30 FPS are noted with (4K) and can be found here. ↑ 1.0 1.1 File/folder structure within this directory reflects the path(s) listed for Windows and/or Steam game data (use Wine regedit to access Windows registry paths). Games with Steam Cloud support may store data in ~/.steam/steam/userdata/<user-id>/742120/ in addition to or instead of this directory. The app ID (742120) may differ in some cases. Treat backslashes as forward slashes. See the glossary page for details. This page was last edited on 6 March 2019, at 03:52.